The Legends’ season ended Monday with a 5-1 victory over Bowling Green. Lexington finished the season at 68-72, the best full-season record of any Astros’ affiliate. The Legends roster showed a vast improvement in talent from 2008 to 2009 as its record showed, but I thought we’d highlight a few specific performances from the 2009 Legends. This wasn’t even close. Pellegrini led the Legends in batting average (.291), home runs (27), RBI (74), total bases (203), on-base percentage (.396) and slugging (.578). 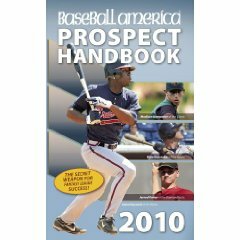 Brian ranked second in the minor leagues in home runs (34) behind fellow Astros’ farmhand Jonathan Gaston. Pellegrini also set the Legends’ records for single-season home runs (27), career home runs (48) and career RBI (143). Outfielder Jay Austin was the only other Legend to record at least 100 hits (106). Second baseman Albert Cartwright led the team in runs scored (65). The race for pitcher of the year was much more heated than the offensive award. Four Legends starting pitchers had sub-4 ERAs, and five pitchers logged over 100 innings. Lyles takes the award after leading the team in innings (144.2), strikeouts (167) and games started (26). Jordan also ranked second among Legends’ starting pitchers in ERA (3.24) and third in wins (7). Lyles’ 167 strikeouts are second most in one season by a Legends starting pitcher. Robert Bono led the Legends starters with 10 wins and a 3.20 ERA. Relief pitcher Henry Villar posted a 2.60 ERA in 43 games and struck out 109 batters in 90 innings pitched.